These Pumpkin Steel Cut Oats have become my new favorite breakfast. So simple to throw together and so incredibly delicious! Top them with any of your favorite fruit and chocolate chips, nuts, or whatever you’d like. Happy New Year everyone! I can’t believe 2014 has already come to an end. I hope everyone had a safe and happy new year. What did you do? We get together every year with our good friends Lara and Eric and their kids. It was at our house this year which I was really happy about because it was so miserably cold outside. We have dinner, watch a movie, eat some more, play games, eat again and then ring in the new year with sparkling cider. However, this year our rip-roaring party ended a little early. Eric had been sick and still wasn’t feeling well so they called it a night at 9:30. My boys were disappointed, but we told them we would still stay up. I put my pjs on and sat on the couch while they decided if we were going to watch a movie or play more games. The next thing I knew my boys were telling me to wake up because it was 11:55. Oops, sorry boys that I was such a party pooper. So now that it’s January and we all tell ourselves were going to start eating healthier, I’m sharing my new favorite hot cereal – pumpkin steel cut oats. I could eat this every morning, it’s so delicious. My mom has been making this the last few years for our Christmas morning breakfast. 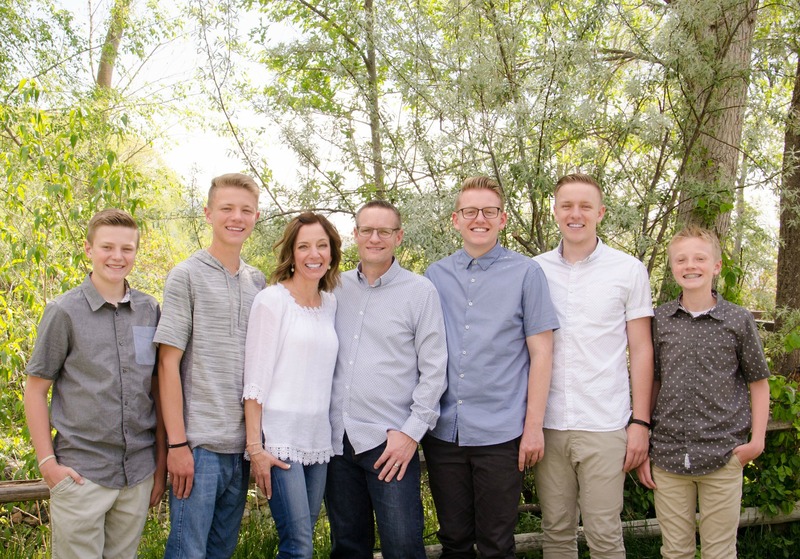 My entire family loves it. I ate three bowls of it Christmas morning last week. Growing up we always went to my grandma’s house every Christmas morning for breakfast. My grandpa would make the most amazing omelettes. Now that both my grandparents are gone, we go to my moms christmas morning. No more omelettes, but we have yummy breakfast casserole, bran muffins, sweet rolls and my mom’s amazing egg nog. 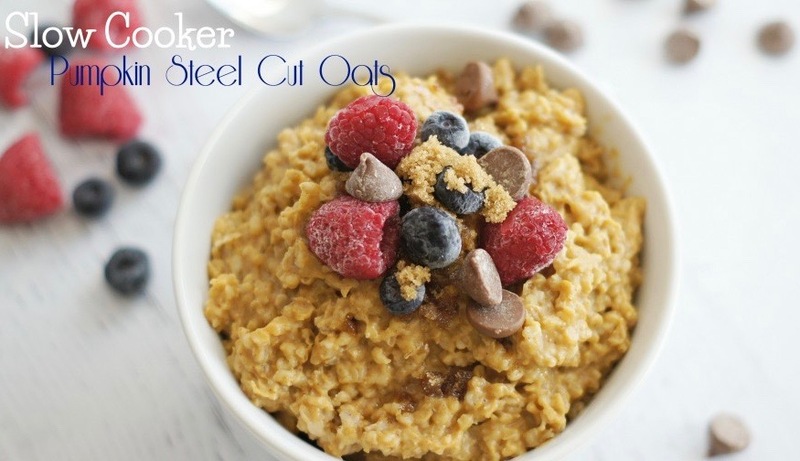 A few years ago her friend made these pumpkin steel cut oats and after my mom tasted them, she was in love. She got the recipe and for the past few years, they are now included in our Christmas morning spread. Whatever your new years resolutions may be, you need breakfast, right? You need these pumpkin steel oats. They are healthy, so simple to throw in your slow cooker and are so delicious. My favorite way to eat them is topped off with a few frozen berries, a few chocolate chips, a little brown sugar and some half-n- half . . .oh my, they are amazing. 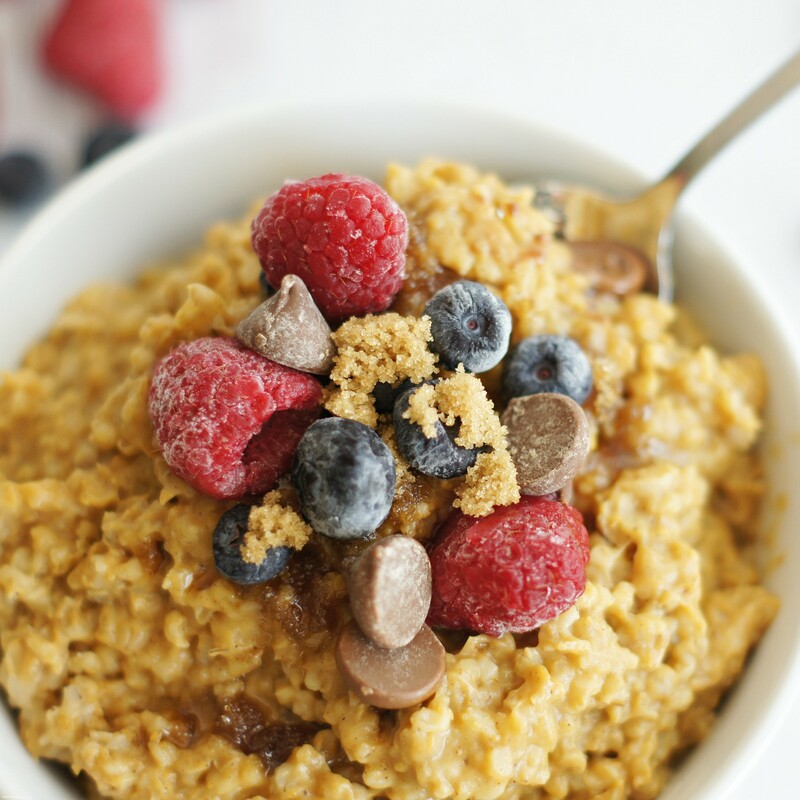 Healthy and incredibly delicious, these pumpkin steel cut oats might just become your favorite breakfast. Combine all ingredients into a slow cooker, stir until combined. Cook on high 2-3 hours or low 5-6 hours. The options for toppings are endless, I just listed a few that my family likes. I like to put these in my crockpot right before I go to bed and then I turn them off when I get up to leave for the gym. Also, I haven't tried this with Almond milk, but I'm sure it would be delicious. I'm going to use it next time I make these. Don't mind the fact that my pictures have no half-n-half in them. I forgot to add it and after I had finished taking pictures and put everything away, I realized I'd forgotten it. Hey Jodi! Happy New Year! How have I never tasted your mom’s famous Egg Nog! Is there anyway you can share Aunt Pat’s recipe? I’ll send it to you! It’s amazing! Parker dreams about it and can’t wait for Christmas morning.